Drawing on a decade of pioneering reporting, Mya Guarnieri Jaradat brings us an unprecedented and compelling look at the lives of asylum seekers and migrant workers in Israel, who hail mainly from Africa and Asia. From illegal kindergartens to anti-immigrant rallies, from detention centers to workers’ living quarters, from family homes to the high court, The Unchosen sheds light on one of the most little-known but increasingly significant aspects of Israeli society. In highlighting Israel’s increasingly harsh treatment of these newcomers, The Unchosen presents a fresh angle on the Israel-Palestine conflict, calling into question the state’s perennial justification of national security for mistreatment of Palestinians. More fundamentally, this beautifully written book captures the voices and the struggles of some of the most marginalized and silenced people in Israel today. "The Unchosen is about much more than the heartbreaking accounts of migrant workers seeking a decent life and refugees escaping genocidal wars and brutal authoritarian regimes. It also documents the resistance waged by both migrant workers and asylum seekers and the gradual awakening of Jewish Israelis to the nature of their government." "The world needs more journalists with Jaradat’s dedication, compassion, and unblinking intelligence. 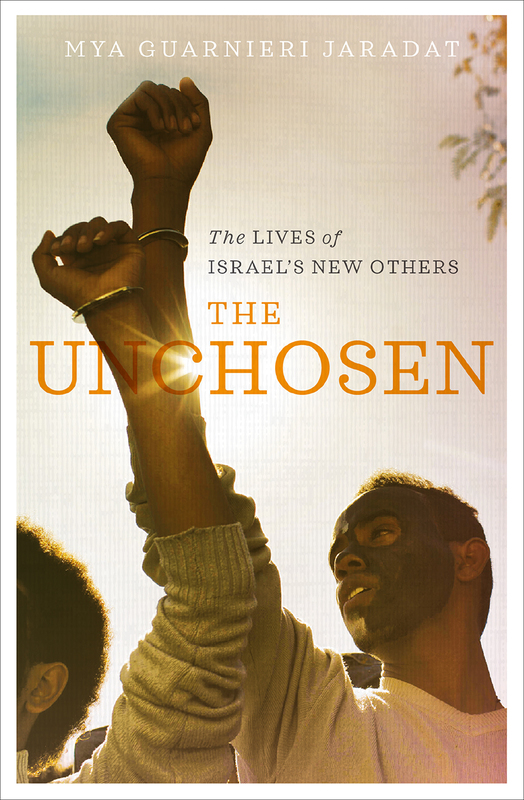 The Unchosen is as clear-eyed as it is heartfelt....essential reading for anyone who wants to understand Israel." "Equipped with a profound knowledge of the plight of non-Jews who have come to Israel in search of work and asylum, Jaradat brings their struggles to life in all of their complexity. Recounting their courageous pursuit of dignity and freedom in the context of an ethnocratic state that continuously abuses and dehumanizes them, their stories are simultaneously tragic and inspiring, revealing the intricate webs of evil informing our times and the unwavering humanity of those who stand up against them."